Do You Know What To Do When You Have A Claim? Water mitigation claims are stressful but, knowing how to maneuver through the insurance claim process may reduce some of the stress. Common questions about the claim process are answered. You've just arrived home to find Water everywhere. A lot goes through your mind. What Should You Expect From the Claims Process? What Should You Expect From a Mitigation Company? We at Disaster Blaster understand that this is likely your first insurance claim, and as such, we are happy to assist you throughout the claims process. In continuation of our commitment to exceptional customer service during a very stressful time, we have prepared this story to address some common questions we receive from customers and recommendations of the steps you should take when you have an Emergency Water Damage. First, you should attempt to limit damage. 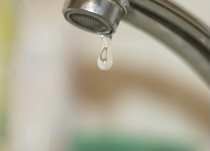 If possible, turn off the water to prevent further damage, and if need be, contact a plumber to perform an emergency repair. Move content items and furniture out of the path of water if possible. Do not attempt to move heavy, large items, as emergency mitigation crews are able, and happy, to do this for you. Second, contact your Insurance Company to inform them that you have suffered a claim. They will need to open a claim for you and assign a handling Adjuster. Third, you want to immediately contact a Local Emergency Mitigation Company. They will have crews available 24 /7 To Respond To Your Property and begin the drying process, preventing further damage and Mold growth. When dealing with a Water Damage, time is key. Taking time to get estimates increases the extent of damages quickly, which is why Mitigation Companies will not provide estimates for Water Damage and Insurance Companies don't expect them. When the Emergency Mitigation Company arrives at your property, you want to walk them through the damage as best you can, and inform them of any content items or furniture that you may have moved out of the area. They will need to check these items to ensure that they do not require drying themselves. The Emergency Mitigation Company will survey the affected area and investigate the extent of water damage to ensure that everything is dried properly and completely. Once emergency mitigation services are completed, the mitigation company will leave drying equipment in order to dry the property thoroughly. Equipment should be left to run, and in the location placed by the mitigation company. Turning off and relocating equipment will delay drying and increase the chance of secondary damage. Fourth, once drying is completed and the mitigation company has removed their equipment, the repair process (If necessary) can begin. In some cases, the mitigation company themselves may be able to perform the repairs for you. As further damage is no longer a concern, an estimate for the necessary repairs should be prepared prior and agreed to by your Insurance Company. Your contractor should be able to handle any necessary negotiations with your insurance company for you, as often the need for certain tasks may require knowledgeable explanation. Additionally, using a contractor familiar with the insurance industry whenever possible, will speed up not only the estimate approval process, but also the repair process as a whole. Fifth, return to life as usual. Though a claim can be a very stressful and emotional experience, it is our hope that once the mitigation and repairs are complete, that you are able to almost forget that you suffered a claim at all. 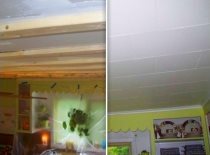 Disaster Blaster is proud to offer not only Emergency Water Damage Mitigation services, but also Final Repair services and everything in between, making us a truly full service indoor environmental company. Should you suffer a Water Claim, please do not hesitate to Contact Our Offices!